The local unit of Bharatiya Janata Party (BJP) has geared up for the grand show when the party’s prime ministerial candidate, Narendra Modi will showcase his future vision at his Vijaya Rally on March 29. 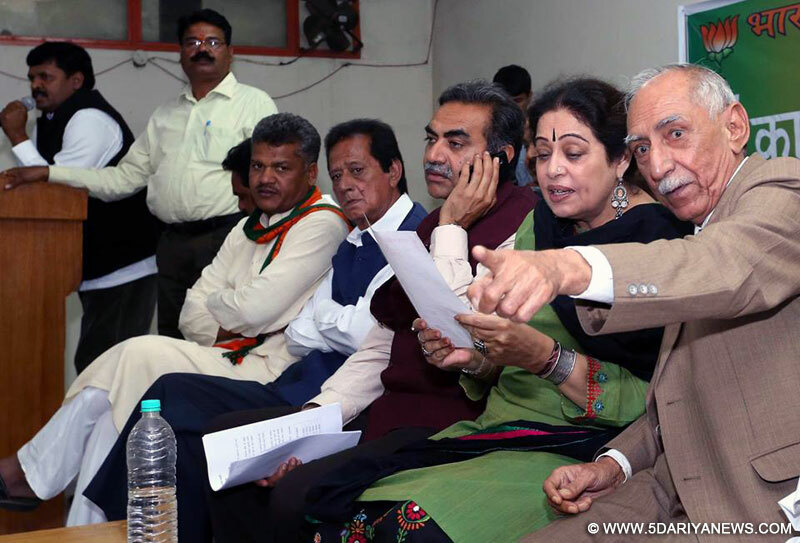 This was stated by the BJP’s State President, Sanjay Tandon at a meeting of the party’s business cell. The meeting took place at BJP’s office, Kamlam, sector 33 today and it was organized by the Business Cell Convener, Vinod Aggarwal. While addressing the gathering, Sanjay Tandon said, “Every member of the Business cell should go to each industrialist to know their problems and should apprise them with the BJP’s ideologies. Narendra Modi has a great economic vision for the nation and has a clear agenda to develop the business community. The city residents will have an opportunity to hear his vision on March 29”.Speaking on the occasion, the Co-Convener of the Cell, Sushil Jain informed, “There is great enthusiasm among the business community of the city and they are eagerly waiting for Modi. We will carry out an ambitious ‘Jan Jagran’ campaign from March 28 to April 10. This movement is aimed at highlighting the problems of Rehriwalas, street vendors, booth holders, shopkeepers and showroom owners. If BJP comes into the power then these problems would be resolved”.On this occasion, Narata Mal, Jagdish Aggarwal, Akshay Chug, Pawan Singla, Nivesh, Ishwar Garg were present.